Tropidia is a tropical genus that is primarily distributed from northeastern Australia through the South Pacific Islands and in India and southeastern Asia. One species, T. polystachya, is known to occur in the Neotropics, ranging from the tip of Florida south through the West Indies, from Central America, Venezuela, and the Galapagos Islands. Plants in this genus are terrestrial and share a combination of features that include stiff and erect stems with a few relatively broad, thin-textured, pleated leaves. The inflorescence is a congested raceme of white, greenish or brown flowers at the apex of the stem. 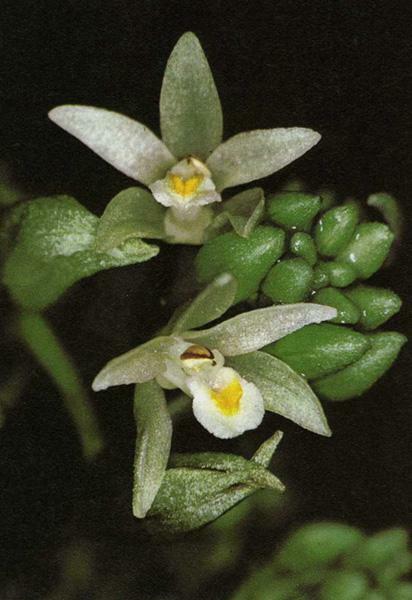 In some species, the flowers may be non-resupinate with the base of the lateral sepals and petals fused together and the basal margins of the labellum fused with the column. 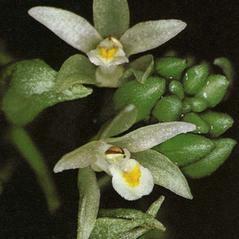 The labellum is unlobed, broadest at the base and may have a deep basal spur.